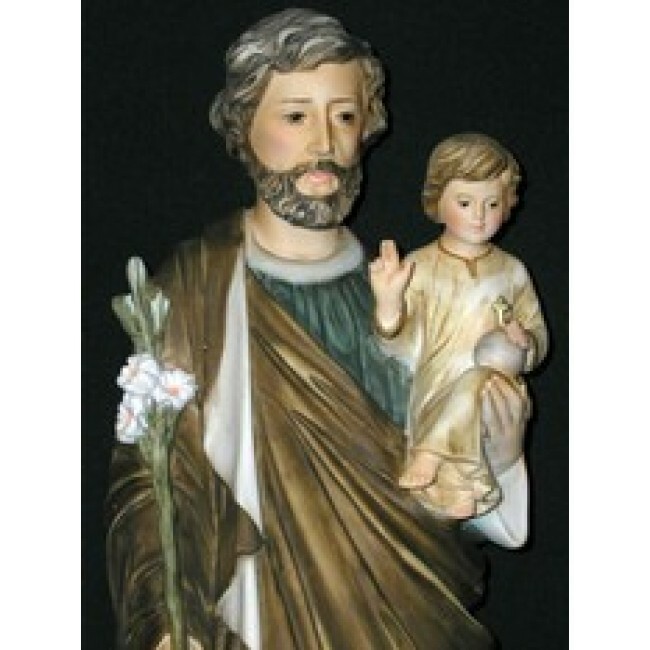 Exceptional quality of hand painted alabaster statue of St. Joseph and Child by Furesi on a beautiful wood base. This finely crafted statue measures 24" and is painted in color with meticulous attention to detail. 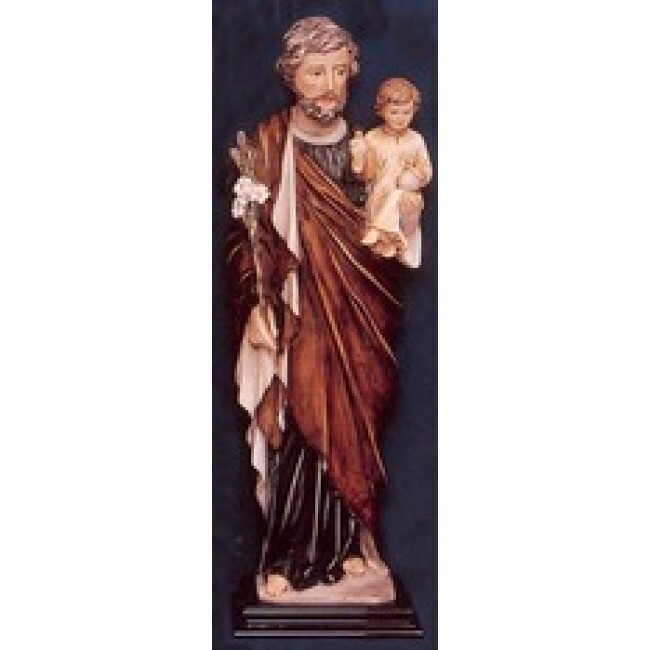 St. Joseph also known as Joseph the Worker, whose origin can be traced to Kind David was a earthly spouse of the Blessed Virgin Mary, adoptive father of Jesus Christ.